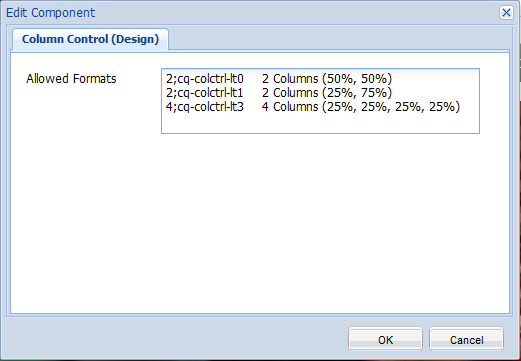 Column Controls in Adobe CQ allow authors to easily create and configure column-based layouts. 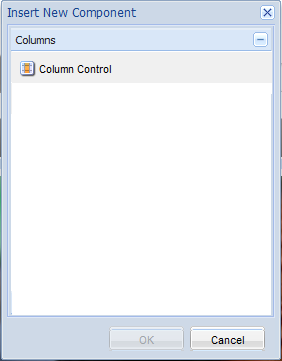 This guide shows advanced users and developers how to create and configure a column control. To add a Column Control to the Paragraph System, you will first need to update the design. Select design mode on the sidekick. Look down through the list of available components and expand Columns. Select Column Control and then press OK to save your design changes. Switch back to edit mode by expanding the sidekick. In your new Paragraph System and select New’ then select Column Control from the available components. Once the page reloads, you should see your new Column Control on the page. Select the edit design button on the sidekick to configure the column. Now you should see two entries in design mode. 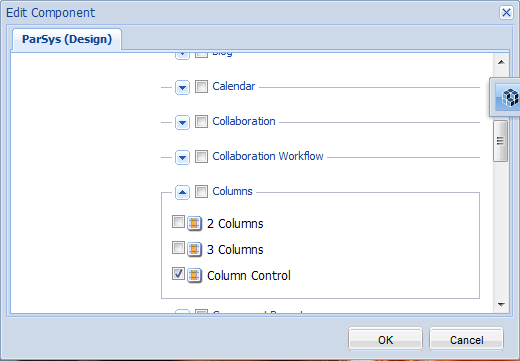 Select edit next to ‘Design of colctrl’ to edit the design of the column control. Number of Columns ‘ Used to determine the number of columns in which CQ will allow you to add components. Column Class ‘ Used to set the class for the Column Control HTML. This should be a class in your CSS stylesheet. **Format Label ‘ **Displayed to the user when the select which column format to put on the page. Enter the formats you want to have for your Column Control, remembering that each CSS class should be unique. Select OK to save your changed and expand the sidekick to switch back to edit mode. One you have configured the column control, you can edit it. First, select Edit next to ‘Start of 1 Columns’. 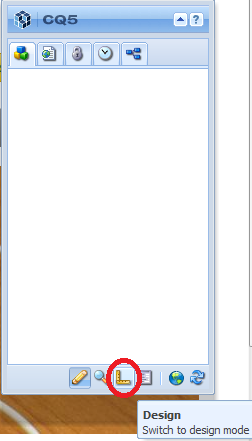 This will bring up a dialog for you to select the Column Layout to use. Once you click OK, the appropriate number of drag and drop fields will appear in the Column Control. Right click inside each column’s drag and drop field and select ‘New’’ to add components into the column. Finally, to make the column display correctly, you will need to update your CSS stylesheet. The column control will have the classes ‘parsys_column’ and the Column Class you specified in Step 3. Each column will have the classes ‘parsys_column’ and the Column Class you specified in Step 3 with ‘-c[Column Number]’ appended. The column number is a zero based index. For example if my Column Class was ‘cq-colctrl-lt0’ the second column would be ‘cq-colctrl-lt0-c1’.